Missouri City property owners can depend on Action Garage Door for repairs and maintenance. For the past 30 years, our company has been providing top-of-the-line garage door repair and installation services to homeowners and business owners in the area. When you rely on us for repairs, you can count on getting affordable prices and excellent service from our trained and knowledgeable technicians. We carry springs, rollers, openers and a variety of other parts for all makes and models of garage doors. Get in touch with us, and we will provide you with details on our repair services in Missouri City. Missouri City garage door repair has never been more dependable than with the work you get at Action Garage Door. 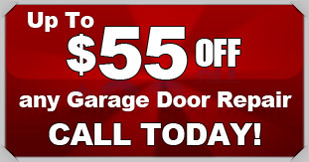 Both residential and commercial customers can count on our garage door service in Missouri City, time and time again. When you want the best in garage door repair and other services, you have to turn to the best. For years, we have been providing residents all over Missouri City with the garage door service they need to have their garages in the best working order. 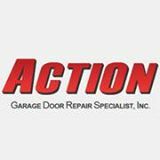 As a garage door repair company that is committed to customer satisfaction, nobody beats Action Garage Door. Our family-owned business has been satisfying customers for 30 years and we are waiting to help you find the services you need for your garage door in Missouri City. Our products can take the heat or the cold and all of our work complies with all applicable local regulations. Garage doors last for several years, but eventually, they need to be replaced. If it’s the right time to invest in a new garage door for your residential or commercial property, Action Garage Door is the place to turn to. We offer name-brand, high-quality products for Missouri City homeowners and business owners to consider. Our technicians have the right knowledge, experience and training to ensure that your new garage door is installed in a safe manner. If you’re ready to begin discussing garage door options for your home or business, Action Garage Door is just a phone call away. No two home or business owners are alike, and our garage door repair company understands that no two will want the exact same garage doors and set up. At Action Garage Door, we offer a variety of garage doors for installation in Missouri City homes and offices. Some of our options include Carriage House, Olympus, Classica, Stratford/Heritage, and Amarr garage doors. In addition to the types of doors we install, we can help you create a custom garage door so you can get the door that goes perfectly with your home or office. Whether you want to match the exterior just perfectly, or if you are picky about windows, a fully customized garage door is just around the corner. Missouri City, TX, offers residents a convenient way to get to downtown Houston via I-69. The city is located just 19 miles southwest of Houston. Missouri City, which dates back to the late 1800s, has a population of about 74,139. The cost of living in Missouri City is higher than the state’s average cost of living, but it’s also just below the average cost of living for the entire U.S.
Homes in Missouri City have an average price of $156,900, which is higher than the average of $131,400 for Texas and lower than the U.S. average of $175,700. Residents in Missouri City have an average income per capita of $34,336 and an average household income of $84,662. Missouri City takes pride in being the “Show Me City,” and it has the attractions and amenities to prove it. Residents can take pride in its award-winning parks and recreation department, which oversees 393 acres of parkland in 20 different parks, as well as recreational programs and special events. These events include the MCTX Fest, Family Fun Night Chili Cook-off, Acrylic Painting Class and Texas Tailgate, which all provide residents with chances to interact with other Missouri City residents and have fun. Residents also have a wide range of community classes to take in order to learn a new skill and spend time with others. These include pickleball, yoga, tai chi, karate and volleyball. Those who have an interest in assisting the community in other ways can volunteer at Missouri City facilities, go to City Council meetings and check into environmental programs that are aimed at keeping the streets and parks as clean as possible. Missouri City is the ideal vacation spot for those who love the outdoors. The city has 20 parks that offer a total of 393 acres to explore while enjoying the fresh air. American Legion Park is an excellent place to go for fishing. Visitors can also take a stroll around the lake on the park’s walking trail. Missouri City’s Community Park features 107 acres of parkland that includes an amphitheater for live entertainment, fishing piers, a playground, a jogging trail and a sand volleyball court. Visitors who want to focus on exploring the city’s walking trails have three to choose from. One of these trails, Hunters Glen Jogging Trail, is a 3.25-mile multi-use trail that covers more than 54 acres of land. Oyster Creek Trail is an ideal trail for those who want to go jogging, walking, bike riding or hiking while taking in Missouri City’s natural surroundings. Those who follow the trail all the way through end up in nearby Sugar Land. Missouri City offers several places for guests to go shopping or grab something to eat. Visitors can browse through the city’s shopping centers for souvenirs or other keepsakes, as well as practical items. 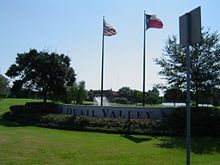 These shopping centers include Missouri City Shopping Center, Riverstone Shopping Center and Quail Valley Shopping Center. Those who visit these places will find well-known department stores to shop at, along with smaller stores that are independently owned. When it comes to food, visitors will find a number of chain restaurants that are perfect for stopping for a quick bite to eat. Those who want a more upscale dining experience can plan on going to Brandani’s Restaurant and Wine Bar . Brandani’s features an elegant interior, a superb wine list and a menu filled with entrees made from the freshest ingredients. To get started with your garage door repair, installation, or replacement, contact Action Garage Door in Missouri City today and let’s talk about the options available from the garage door repair company that has been caring for customers since 1984. Richard quickly assessed the problem, told me my options, did what I asked of him, and took care of it both well and quickly, providing tips for the proper maintenance of the work he had done. He was very respectful and I had no reason at all to doubt his honesty or integrity. Great service! The garage door opener was installed efficiently and professionally. Kenny was on time, thorough and worked quickly to tune up all three door and correct problem with one door. Let me know up front the gift and no surprises! Excellent service, very professional technician and a very fair price. I'very already recommended Action to a friend. The young man was very courteous and professional and replaced my garage in a very short time. Nathan was helpful and provided great service. On time. Thorough installation and explanations. Made sure I understood how to operate. Reasonable price. very professional and they did a great job, very pleased and would use Action Garage Door Specialists again. Nathan installed a new garage door opener at the property.